A beautiful heavyweight decorative clock. Made from cold cast bronze and hand finished to perfection. 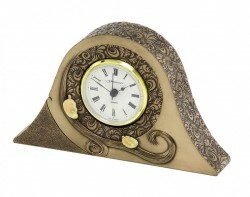 Part of the 2012 Genesis Ashling range: producing high quality giftware for over 20 years now.